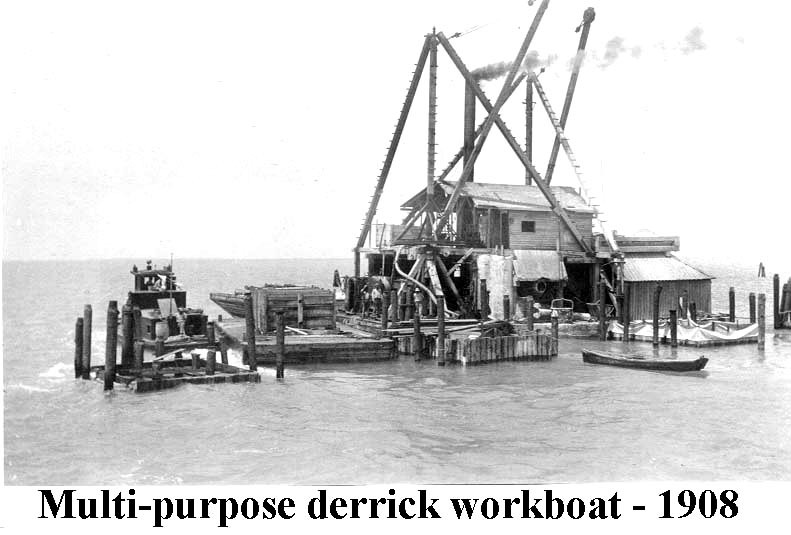 In deeper water, barge mounted equipment was used instead of buillding a service track along side. These barges are probably removing the forms. Huge quantities of crossties were needed. 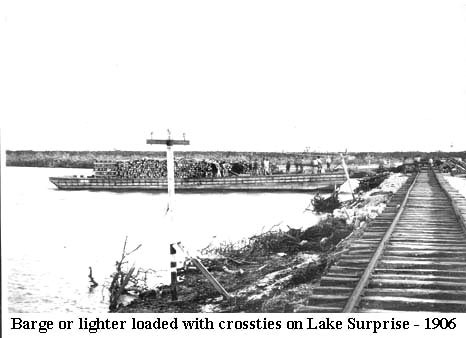 Low-grade wooden crossties were used and re-used for contruction tracks. 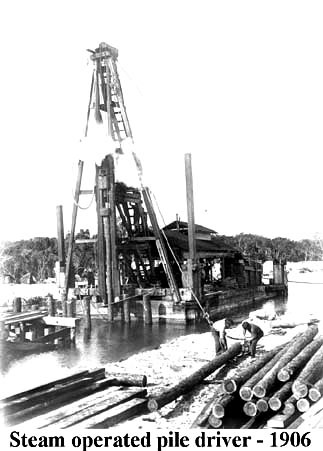 Double derricks were used for complex operations similar to a person working with two arms. For small fills, a wooden tresle was built and the space below filled in. 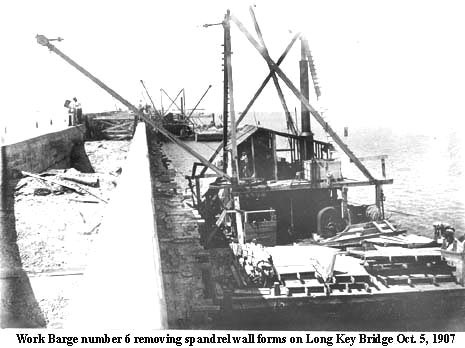 Bridge piles were driven by barge mounted pile driveres. 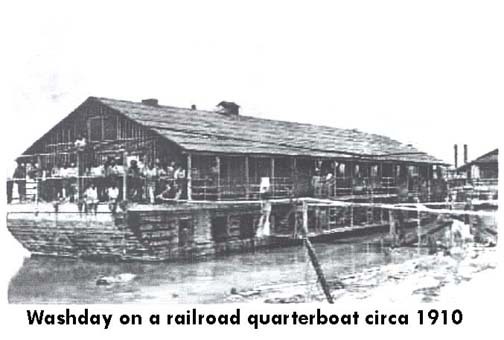 Bridge crews lived aboard quarterboats. 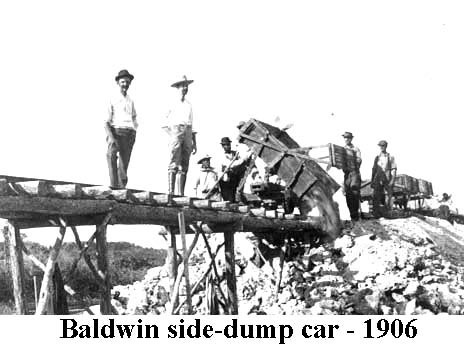 After the 1906 Hurricane they were evacuated during bad weather.